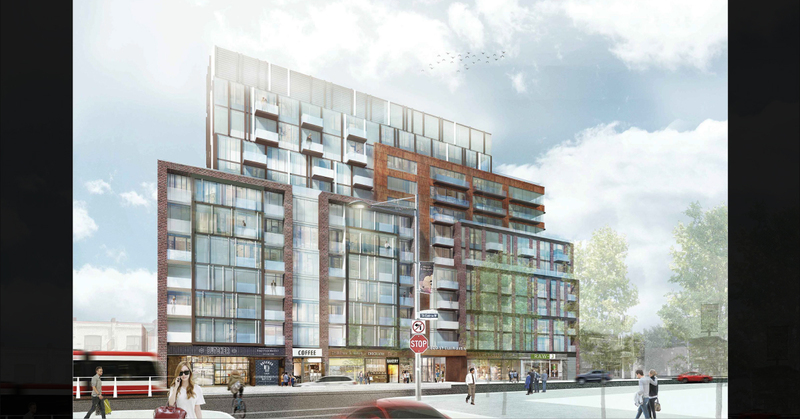 Reunion Crossing – Our sister company, International Home Marketing Group Realty is proud to present a new midrise condo and townhouse development by Diamond Kilmer Developments, coming soon to Toronto’s west end. 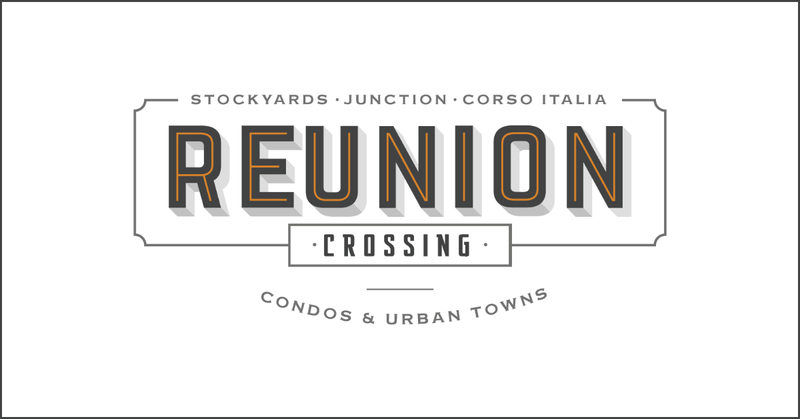 Reunion Crossing is a mixed-use development consisting of an 11-storey midrise condo tower, and five low-rise blocks of back-to-back ,3.5 storey, urban townhomes. 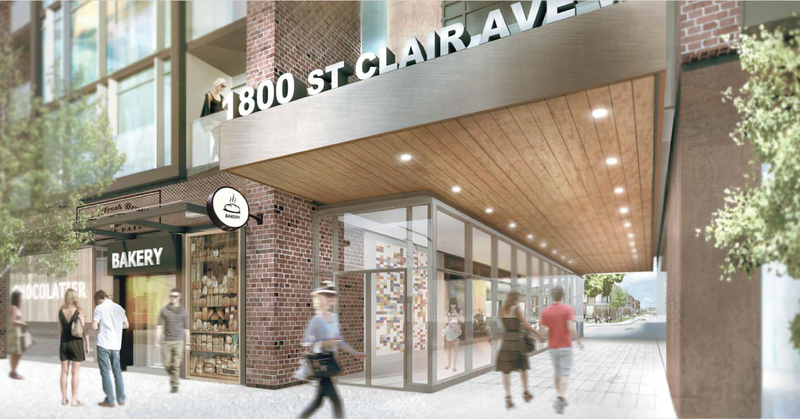 The project will be developed on the lands at 423 Old Weston Road and 1800 St. Clair Avenue, with the condo tower fronting onto St. Clair Avenue and the townhome blocks stretching northwards from there. In total, the development will include 96 units in the condo tower and 180 townhomes. 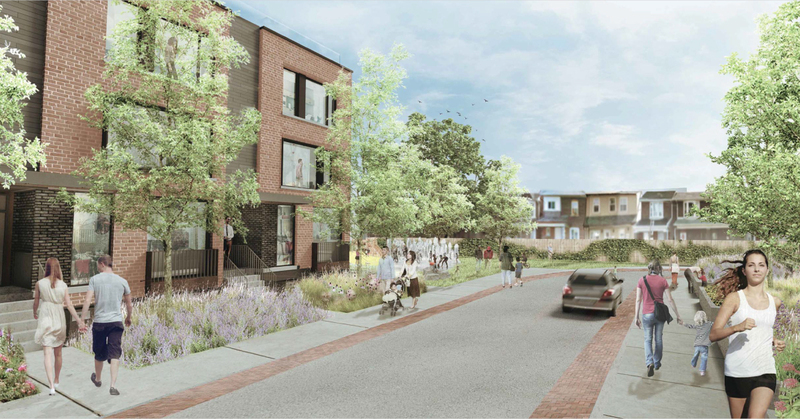 Prices for the condos begin in the mid $300,000s and the townhomes start in the mid $600,000s. Reunion Crossing stands on the edge of the Stockyards District and is only a short distance from The Junction. These are two up-and-coming areas in Toronto that have seen big changes in recent years, with a number of trendy shops, restaurants, cafes and craft breweries opening. The area is well-established and there is a wide range of amenities within walking distance of Reunion Crossing, including many big box stores. That is why the location has an excellent walk score of 95/100, which indicates that most daily errands can be completed without a car. The 512 streetcar service runs east-west along a dedicated right of way on St. Clair Avenue, providing efficient and unimpeded public transit. The streetcar-only section of the line runs from a few blocks west of Reunion Crossing to Yonge Street, which means transit riders can easily reach either side of the TTC’s subway line 1 with relative ease. Line 2 of the subway, which runs east-west along Bloor Street, is also just a quick bus ride to the south, meaning large parts fo the subway are within easy reach of residents of Reunion Crossing.